The $1,000 scholarships are available to all US students in any degree program. Today, Photographer.org is excited to announce The Photographer.org Annual Academic Scholarships. The Photographer.org Annual Academic Scholarships are annual $1,000 scholarships to be used to help pay tuition and academic expenses to an accredited non-profit college/university or vocational/technical school in the United States. Eligible students can apply to be awarded one of 3 academic scholarships to support their growth and education. Established by Photographer.org as part of a new initiative to establish a channel of support for the next generation of photographers, The Photographer.org Annual Academic Scholarship supports the future of photographers and their photography education. Any recently accepted high-school student, undergraduate or graduate student from an accredited college/university in the United States may apply. Interested students are encouraged to visit The Photographer.org Annual Academic Scholarship page on their website for more information on submitting your entry. 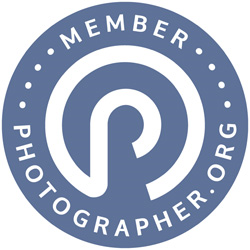 Photographer.org is a new kind of modern Photographer Membership Organization, founded in 2017 where membership is FREE and the focus is on helping photographers connect with new clients. It was created by photographers and it will always be free for both consumers and photographers to use.